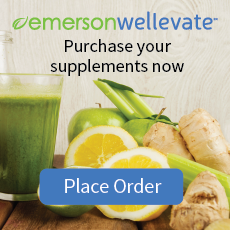 I offer a 30% discount for supplements from Emerson Ecologics, a supplement company whose quality I trust. Click on the image below and follow the prompts to create an account with them. If you have any questions, give them a call.